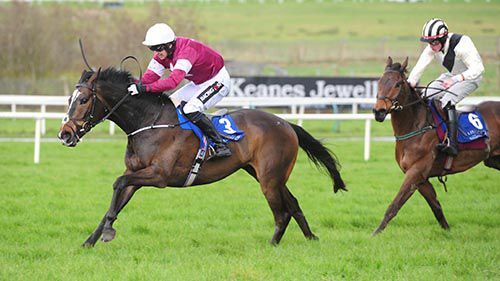 Mortal looked the part on paper beforehand and duly justified 9/4 favouritism on debut in the Book Online At www.limerickraces.ie For April 6th Flat Race. 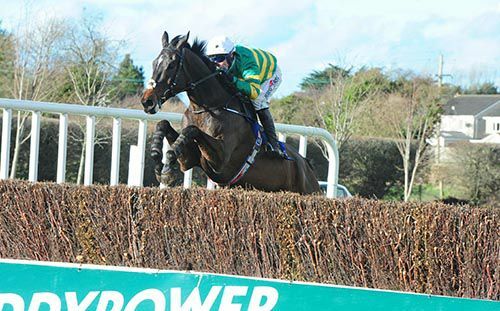 The King’s Theatre gelding is the first produce of smart chaser Pomme Tiepy, and was snapped up by Gigginstown as a three-year-old at the Derby Sale for 100,000 euro. Patrick Mullins, now one ahead of Jamie Codd (33-32) in the amateur riders title race, sent the five-year-old past Zen Master early in the straight. He drew clear inside the final furlong to beat that rival by five and a half lengths, with Isodon another seven and a half lengths away in third. Winning trainer Joseph O’Brien said, “Paddy was happy with him and said he’d come on for the run. I thought he looked a bit heavy in the parade ring. There was plenty of top action at Meydan at the weekend with the impressive Arrogate winning the Dubai World Cup. He is just an unbelievable horse. The vast majority of dirt type horses are trained in America and maybe the switch to dirt has suited them, but if the right one comes along there’s no reason why a European horse can’t go close again in the Dubai World Cup. Jack Hobbs took the Sheema Classic and is a very good horse. He was a great three-year-old who ran well in both derbies, winning the Irish version. With the blinkers on, he seemed to improve from his runs at the back end of last year. It looks like he’ll be a force to be reckoned with all year. I had an interest at Naas on Sunday in the shape of Circus Ring as the Irish Flat Season got under way, but he didn’t run very well and was caught a bit wide. The ground was soft and he didn’t like it so with a bit of nice ground hopefully he’ll be competitive again. My sister Ana had better luck with a double and I’m delighted with that, she had two very good rides and Orderofthegarter in particular quickened up very well. It’s five weeks until the Guineas and Intricately will probably have a run out before that. It’s something we don’t have to look at just yet but we’ll see what things are like the next three weeks and go from there. Motherland has also been entered in the Group races early doors and he’ll probably go to Navan next, while Reckless Gold has and an entry in Tattersalls Gold Cup. He’s had a few little training issues but… …when he’s right he’s got a great engine so hopefully we’ll get a clear run at it. 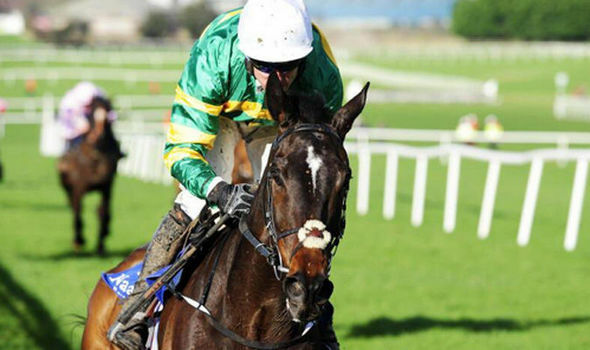 Mortal will more than likely run at Limerick on Thursday in the bumper. 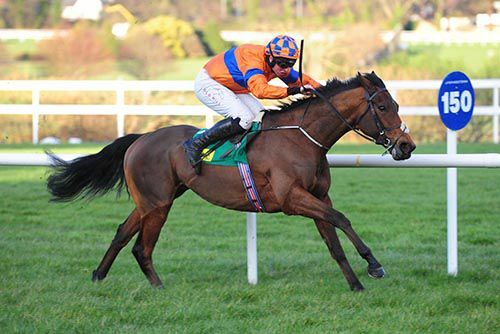 He is a well bred horse, the first foal out of Willie Mullins’ Pomme Tiepy. We’ll find out a bit about him but he’s been doing plenty of work at home and is ready to go so hopefully he will run a good race. Anything he does in his bumpers will be a bonus as he’ll want to go three miles eventually. Katnap will be our most likely runner at Aintree but we’ll know more when the weights are released on Wednesday. We may give him a pop over similar fences at home before going to Liverpool, but he’s a very good jumper so there will be no concern there. Edwulf was expected back home at Joseph O'Brien's stables in County Kilkenny on Tuesday evening after he was fit enough to travel following his health scare at the Cheltenham Festival. The eight-year-old went badly wrong after jumping the final fence in the JT McNamara National Hunt Chase when he looked likely to finish second to Tiger Roll. He was pulled up by jockey Derek O'Connor and then collapsed. The next race was delayed by 10 minutes as he was being treated and Edwulf was eventually moved off the course while still being looked at, before being loaded into the horse ambulance. He was taken to the Three Counties Equine Hospital, in nearby Tewkesbury, where he appears to have made a full recovery. "He's travelling back home today and all's good," O'Brien told Press Association Sport. "I haven't spoken to the vets there recently, but basically he ran out of oxygen. It affected his heart and he lost all his coordination. "I think that is what happened, as far as we know. "He's absolutely perfect now again. It's great. "He'll have a good, long break. He'll go out in the paddock and we won't decide for some time whether he will go racing again or not." Hopefully he’ll travel home tomorrow or Wednesday. He seemed to suffer a seizure or a small heart attack, and I’m not sure what the chances of it reoccurring are yet. We’ll obviously go through all that before a decision is made whether to return to training or not. It’s just great to have him back and that he’s going to be okay. On a positive note, Derek had him jumping pretty well in a good rhythm. He jumped the second last, he got a bit close to it and obviously pulled up at the back of the last. It’s one of these unfortunate things. The vets on the track were outstanding. West Coast Time had a very good run in the Champion Bumper. I’d say the ground was a little bit good for him on the day. He travelled into the race very well. He’s an immature horse and is one to look forward to next season. 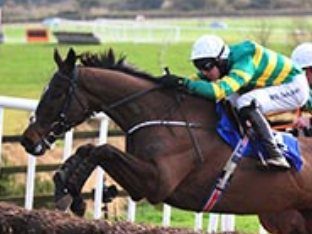 Punchestown is an option for him, but there’s a case to be made in leaving him for the year. That’ll be decided over the next few weeks. Zig Zag in the Fred Winter ran a great race. He’s a consistent horse and doesn’t owe anyone anything. He’s a horse that there’s plenty of fun to be had with on the flat and over hurdles. I’m not sure if the tongue-tie was responsible for much improvement but it didn’t go him any harm anyway. That’s the long and short of it. Landofhopeandglory and Ivanovich Gorbatov both ran well on Friday, they both finished fifth. They were both very competitive races and neither of them disgraced themselves. It was Ivanovich Gorbatov’s first race in a handicap and hopefully there’s a nice pot in him somewhere down the line. We’ve two horses in the Irish Lincolnshire at Naas on Sunday – Jaqen H’Ghar & Reckless Gold – but I’m not sure if we’ll have a runner yet. I’m really looking forward to the turf season, looking forward to the two-year-olds and a couple of nice three-year olds – Intricately obviously and Motherland. We have a nice bunch of horses and I’m really looking forward to the season kicking off. It looks like it’s going to be decent enough ground on Sunday but there’s a lot of time between now and then so we’ll see closer to the time what the ground’s going to be like. 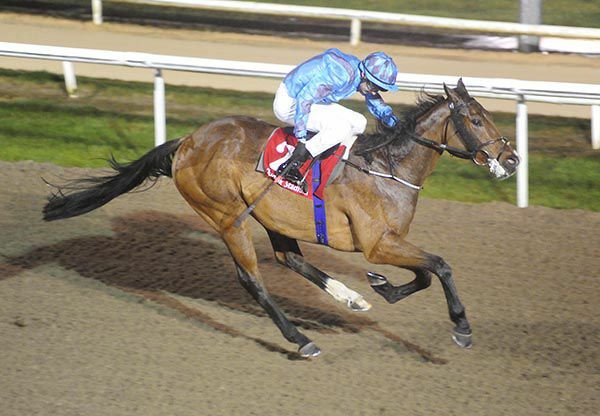 "He has shown us he's a nice horse at home and he also jumps very well," said jockey Tom Hamilton after he'd ridden his second winner in Ireland aboard Shady Operator (11/1) in the Book Online 19 Punter Pack (Pro/Am) INH Flat Race at Limerick. Hamilton sported the silks of Justin Carthy on the Court Cave newcomer, and try as Stooshie (Jamie Codd) might, he couldn't get to the patiently ridden victor in the closing stages, losing out by a neck. Shady Operator had led from the two furlong pole and Hamilton added:"He hadn't done an awful lot at home but stayed on very well today and won well." Shady Opertor's trainer Joseph O'Brien also had Cornelius Sulla in the mix here, and that one finished ninth under his sister Sarah. 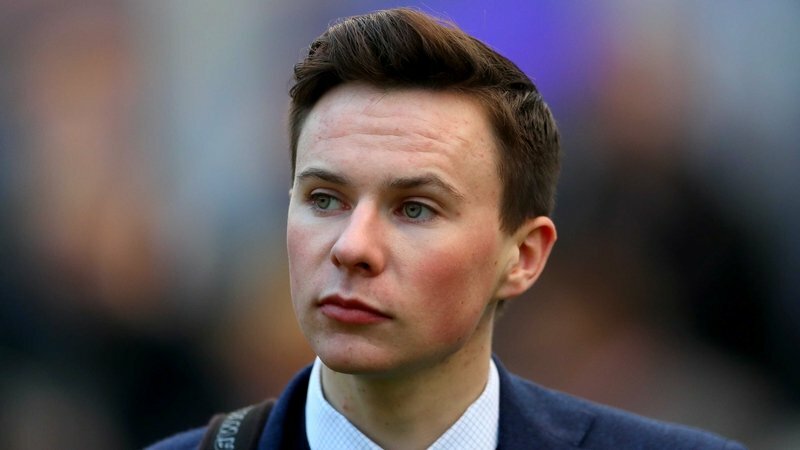 Joseph O'Brien issued a positive update on Edwulf on Wednesday morning after the horse collapsed at Cheltenham on Tuesday. It looked like the eight-year-old was going to finish second to Tiger Roll in the JT McNamara National Hunt Chase when he went badly wrong and collapsed in the closing stages. The final race on the card was delayed by 10 minutes as he was being treated and he was eventually moved off the course while still being looked at, before being loaded into the horse ambulance. O'Brien is unsure what caused the gelding's collapse, but reports him to be recovering in a veterinary hospital in nearby Tewkesbury. He told ITV4's The Opening Show: "He's in Three Counties Equine Hospital and Liam Kearns and everyone there has done a great job, and they did a great job with him yesterday on the track. It's very positive this morning. "They're not altogether sure (what went wrong), they thought it may have been something to do with his heart, but his heart came back normal relatively quickly and then he got up. "It's very good news this morning." Joseph has high hopes for Edwulf in the JT McNamara National Hunt Challenge Cup Novices' Chase at Cheltenham after the eight-year-old bounced back to form on his latest start. Edwulf had blotted his copybook when falling at Navan in February but put that behind him with victory at Naas later that month. Joseph was delighted with his latest effort and is expecting a big run, having booked top amateur Derek O'Connor for the ride. 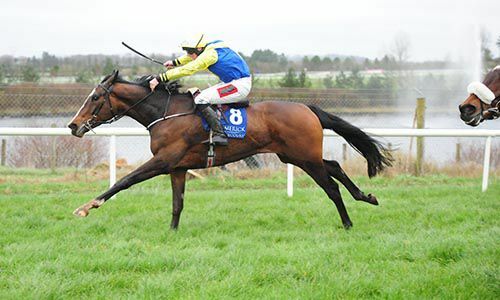 "Edwulf had disappointed us previously, but it was nice to see him come back, do what we had expected him to do earlier in the year," the County Kilkenny trainer told the Irish Independent. "He jumped very well and it was a great performance. He (O'Connor) has huge experience, knows the track and the horse; he'd be a top-class man if we could get him. The horse would have a good chance." Joseph is keen to have another crack at Carter McKay with West Coast Time in the Weatherbys Champion Bumper at next week's Cheltenham Festival. A son of Refinement, who finished second in the race for Jonjo O'Neill back in 2004, West Coast Time was beaten two and a quarter lengths by Carter McKay at Naas last month, but Joseph feels a stronger run race will suit his charge better. "They went very slow and sprinted (at the finish). The winner was very good. I don't know if we'd beat him or not but I'd like to think that we'd be able to get with him at the furlong marker some day and see what would happen after that," he told the Irish Independent. "The horse's dam, Refinement, was second in it and she was a good mare. It would be unbelievable to have a horse with a chance in the race. "He'd have to have an each-way chance. 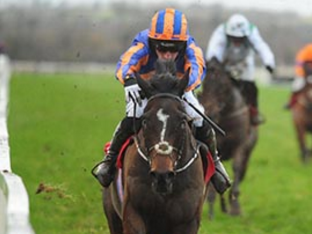 He was very impressive in Cork, the race will be run to suit him I'd say and he'd like soft ground. He won well on soft ground. We'll know about that closer to the time." 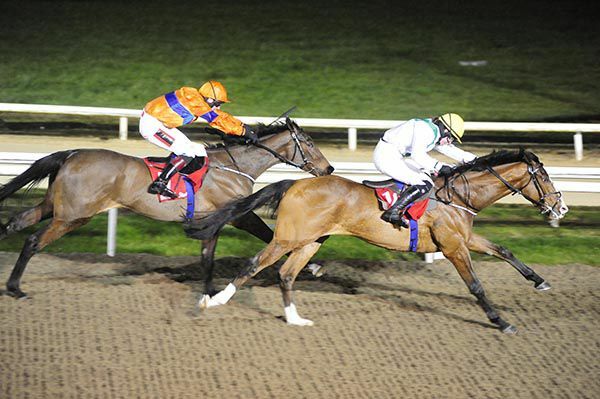 It was another brilliant night at Dundalk on Friday with more winners and placers for us. Tommy Welsh won nicely on the night and he had won his previous start at a mile and a half at Dundalk a couple of weeks before this. We were a bit worried about the two miles but he got it nicely and won well. That’s two on the bounce for him now and there’s plenty more to come. A lot will depend on the handicap he gets. War Goddess ran a great race also to finish second. She’s been placed any amount of times at Dundalk over the winter and she managed to win one so she’s had a great winter too. I’m extremely happy with her. Circus Ring ran well on his first start for us. This was his second start and I was absolutely overjoyed to see him win with Donnacha on board. He’s a lovely horse and handled the drop down in trip very well and he looks like he’ll give his owners plenty of runs for the Spring. Ligeti had another good run too off 72, his first run was 65 so it was a big step up in grade. He looks like he’ll be competitive in that grade so I’m very happy with that. It’s only March but we have our two-year olds in getting ready for the turf. At the moment we’re not doing that much with them but we’re looking forward to getting them started. Our 1-2-3 in the Bumper at Leopardstown was a great effort. We really didn’t expect it. They’re three very nice horses. Third placed Cornelius Sulla had been running consistently well and High Tide won well, Jamie liked him a lot before it and gave him an excellent ride. We didn’t expect him to win by 7 and a half lengths but we knew he would go very close. Second placed Us And Them is a grand horse and is one for the future. 06.03.17 Trainer Joseph O'Brien has called for a rise in the minimum weights that jockeys carry in races. Joseph, a former champion jockey, was forced to retire from the saddle at the age of just 22 following weight issues. He believes there is nothing to lose from raising the minimum weight and everything to gain. "With jockeys, the way the weights are at the minute, with Irish kids getting taller and stronger and heavier as a result, you will probably find more non-nationals as jockeys (here), like in America," he told www.independent.ie. "It's probably thinking down the road a nice bit, but that's the way it looks like it might go. "Everyone knows that I had weight trouble, but there are jockeys all around the country having weight trouble. I was very lucky that I was able to ride some very good horses, but there are lots of people struggling like I struggled to ride lesser horses." "Dundalk at this time of the year for most jockeys is probably the only time they are going to be riding unless they are travelling. "There are several jockeys going to Dundalk once a week losing half a stone or more in the days coming up to racing." "There is no disadvantage to horses carrying more weight in races. It can only be an advantage to jockeys healthwise. "It's probably never going to happen but I think it's an issue that hasn't been discussed enough." 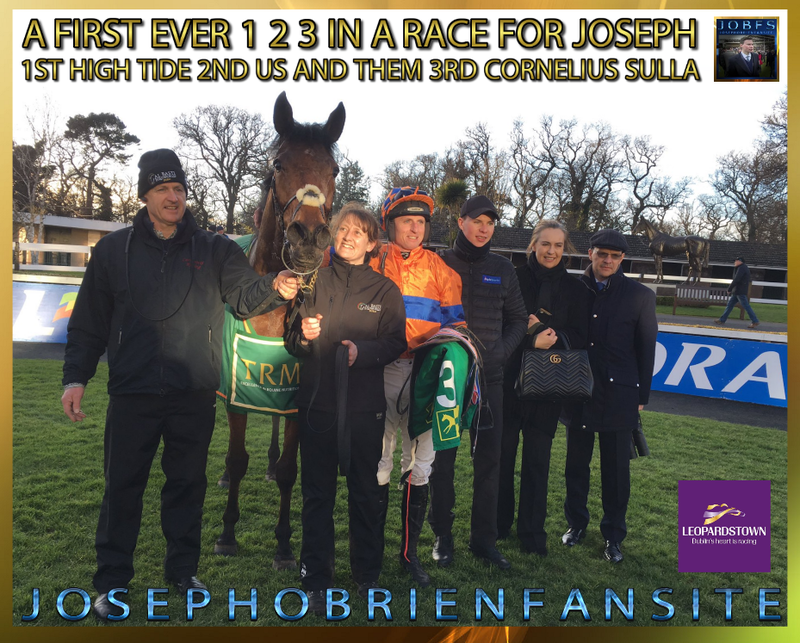 Joseph O'Brien saddled a one, two, three as Jamie Codd moved one ahead of Patrick Mullins in the battle to be crowned champion amateur rider when Montjeu newcomer High Tide made a striking impression in winning the TRM Excellence In Equine Nutrition (Pro/Am) INH Flat Race at Leopardstown. Whilst Us And Them under Mullins may have shaped better to a furlong and a half out, he had no response when 9/1 shot High Tide changed gear, a turn of pace that took him all the way to a seven and a half length win. Under the winning trainer's sister ,Ana, Cornelius Sulla finished twenty two lengths back in third. Tommy Welsh led home a one-two for Joseph O'Brien in the qualified riders' handicap and gave the trainer a double on Dundalk's card. There was plenty of money around for Tommy Welsh during the day for this two-mile contest as his odds contracted to 4/1 from 13/2. His SP was returned at 5/1. He had a prominent pitch in third behind Keep It Cool and Bien Chase before tracking in fifth after half a mile. Keep It Cool soon moved clear of the field but he was almost reeled in outside the three quarter mile mark. Bien Chase moved on at the four pole with Park Row pursuing in second, a weakening Keep It Cool third andTommy Welsh fourth. Bien Chase was ridden outside the two and Sarah O'Brien took the opportunity to drive Tommy Welsh past him racing towards the final furlong. It was stablemate War Goddess who stayed on stoutly to try and hunt the winner down in the final furlong. However, he was three quarters of a length adrift at the line. The runner-up was subject to an on-course gamble from 7/1 to 4/1 favourite. Wood Breizh (9/2) completed the places under Katie Walsh. He was beaten three lengths by the winner. Circus Ring gave Joseph O'Brien his other winner on the card in race three. Circus Ring was the emphatic winner of the seven furlong Crowne Plaza Race & Stay Handicap at Dundalk. 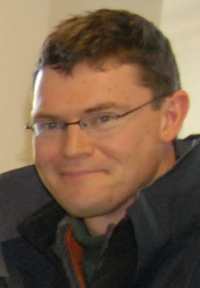 Joseph O'Brien's Fastnet Rock horse was ridden by his brother Donnacha who settled him in rear of mid-division of the 14 runners. The 3/1 chance began to make headway on the outer approaching the straight. He came under the whip two furlongs out when just off the leaders. The three-year-old then progressed to grab the initiative with a furlong and a half to race and put the opposition to the sword in the final half furlong to win by a comfortable two and a quarter lengths. Winging It finished off her race well to get up for second at 16/1 from Eacharn (16/1). Donnacha O'Brien said: "It was probably a moderate enough race and he was probably on the right side of the handicap.“Joseph got him off dad and he had been a disappointing for him. We thought there was a little bit more to come from him. Circus Ring's first attempt at the polytrack saw him finish third in a one mile handicap a fortnight ago. Edwulf could go for either the RSA Chase or National Hunt Chase, with no major preference, trainer Joseph O'Brien said yesterday. Speaking at a BoyleSports-sponsored yard visit, the 23-year-old trainer admitted that he is hoping to book Derek O'Connor if the horse goes for the four-mile race, but he believes that he has the pace to tackle the Grade One RSA Chase, for which Might Bite heads the wagering. Joseph will likely have four or five runners at the Festival and Edwulf's revised rating of 152, which he achieved after bolting up at Naas on Sunday, means that he has a major chance of winning the National Hunt Chase in theory. Ivanovich Gorbatov got a rating of 150 yesterday, while Landofhopeandglory, Zig Zag and West Coast Time may also be on the ticket. "Edwulf had disappointed us previously," Joseph told the Irish Independent, "but it was nice to see him come back, do what we had expected him to do earlier in the year. He jumped very well and it was a great performance. "The ground will have a little question-mark. I've no particular preference race-wise: he travels very well and won over two-and-a-half at Naas so he has plenty of pace for the RSA; you would think he'd find things go very easily over four. "Derek could possibly ride. He has huge experience, knows the track and the horse; he'd be a top-class man if we could get him. The horse would have a good chance in whatever race." West Coast Time, second to Weatherbys Champion Bumper favourite Carter McKay at Naas, is 50-50 to run. "I hope he's better than that form as they went very slow then sprinted. I'd like to think he'd be able to be with Carter McKay at the furlong marker one day and we could see what happens then. He'd have to have an each-way chance." Ivanovich Gorbatov, last year's Triumph winner which has County Hurdle and Coral Cup entries, yesterday was allotted 150. "We were a little disappointed in him the last day. 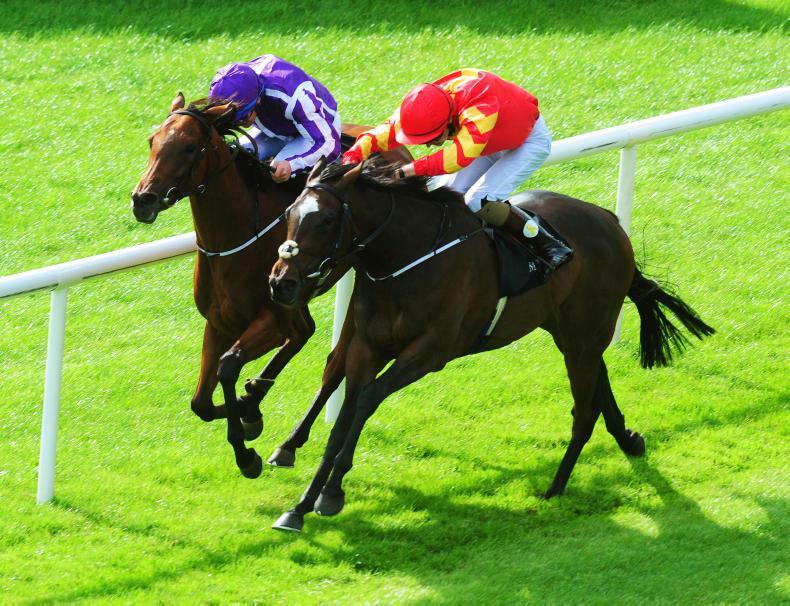 A fast pace and better ground will suit and there's no reason he shouldn't run a good race. His mark is what it is." Joseph has Landofhopeandglory for the JCB Triumph Hurdle or Fred Winter, the likely target for Zig Zag. "Landofhopeandglory would have an each-way chance; he was running very well all year and there's no reason he can't be in the first three."